LEE WAS VERY CREATIVE WITH THE PICTURES. HE INCLUDED OUR IDEAS FOR PICTURES AND HELPED DEVELOP THEM INTO SO MANY PERFECT PICTURES THAT IT MAKES IT HARD TO CHOOSE WHICH ONES TO HANG UP, DISTRIBUTE, ETC. WE LOVED WORKING WITH HIM AND WOULD HIGHLY RECOMMEND HIM FOR ANYONE LOOKING FOR A PHOTOGRAPHER WITH VISION! 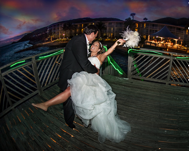 WE WOULD RECOMMEND LEE LASHLEY TO ANYONE WHO IS GETTING MARRIED IN THE VIRGIN ISLANDS! HE IS VERY KNOWLEDGEABLE ABOUT PHOTOGRAPHY; BUT MORE THAN THAT, HE HAS RAW TALENT FOR ENVISIONING AND CARRYING OUT PERFECT SHOTS. DESPITE OUR RAINY WEDDING DAY, HE CAPTURED THE MOMENTS, THE EMOTIONS, AND THE FUN. HE MADE THE MOST OF LESS-THAN-PERFECT WEATHER AND PROVIDED US WITH BEAUTIFUL PHOTOS. WE LOVED HIS MIX OF COLOR/BLACK AND WHITE, AND OF STAGED/CANDID SHOTS. ASIDE FROM HIS PHOTOGRAPHIC TALENT, LEE IS ALSO VERY PROFESSIONAL. 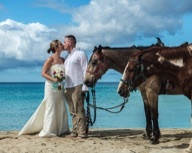 PLANNING A WEDDING ON THIS ISLAND (ST. CROIX) PROVED TO BE QUITE A TASK. WE HAD DIFFICULTY GETTING ANYONE TO RESPOND TO US IN A TIMELY MATTER; BUT NOT LEE. HE ANSWERED HIS PHONE EVERY TIME WE CALLED, SHOWED UP TO THE WEDDING ON TIME, AND EVEN GOT OUR PHOTOS ONLINE ABOUT A WEEK AFTER THE WEDDING. THANK YOU LEE, YOU HELPED MAKE OUR DAY SPECIAL, AND YOU CAPTURED EVERYTHING WE WANTED AND MORE! LEE LASHLEY WAS EASY TO WORK WITH FROM OUR FIRST MEETING. HE CAME PREPARED WITH A PORTFOLIO OF HIS WORK AND WAS GENUINELY INTERESTED IN OUR BIG DAY AND HOW HE CAN ARTISTICALLY CAPTURE THE ESSENCE OF OUR DAY, OUR MOMENT AND WHAT WOULD BECOME OUR MEMORIES. HE WAS VERY FLEXIBLE AND INVOLVED IN CHOOSING UNIQUE LOCATIONS FOR PICTURE TAKING, VERY PROFESSIONAL IN TIMELY RETURN OF TEXT, EMAIL OR VOICE MESSAGES. HE ARRIVED ON SITE ON TIME AND KEPT ON SCHEDULE ALLOWING US TO ENJOY OUR RECEPTION AND GUEST. WE HAVE SINCE SEEN A FEW OF OUR PROOFS AND THEY CAPTURE MY HUSBAND'S AND MY ADMIRATION FOR EACH OTHER. IT WAS A BEAUTIFUL DAY AND THANKS TO LEE, WE CAN TRULY REMEMBER THOSE MOMENTS FOREVER. WHEN OUR ORIGINAL PHOTOGRAPHER BACKED OUT ON US THREE WEEKS BEFORE THE WEDDING WE THOUGHT WE'D NEVER FIND SOMEONE ON SUCH SHORT NOTICE. AFTER WORKING WITH LEE AND SEEING THE FABULOUS SHOTS HE TOOK I AM VERY GRATEFUL THE FIRST PHOTOGRAPHER COULDN'T DO IT. LEE'S MANNER IS ONE OF RELAXED AND FRIENDLY PROFESSIONALISM. HE PUT US AT EASE WHEN WE WERE TAKING OUR COUPLE SHOTS AND MADE THE EXPERIENCE A VERY FUN ONE. HE IS AN ARTIST AND KNEW HOW TO CAPTURE THE ROMANCE AND LOVE WE FEEL FOR EACH OTHER TOGETHER WITH THE GORGEOUS SCENERY. HE TOOK MANY CANDID SHOTS AND WAS ABLE TO CATCH THE SPONTANEOUS MOMENTS WHILE STILL BEING UNOBTRUSIVE. THE FAMILY AND FRIENDS SHOTS WERE GREAT AS WELL, AGAIN PUTTING EVERYONE AT EASE AND ENCOURAGING OUR LOVED ONES' PERSONALITIES TO SHINE THROUGH. I WOULD HIGHLY RECOMMEND LEE, YOU WILL BE DELIGHTED WITH THE RESULTS! LEE IS AN EXCEPTIONAL PHOTOGRAPHER - I'M GLAD WE WENT WITH HIS MANY SUGGESTIONS. HE CAPTURED SO MANY SPECIAL MOMENTS AND HAD OUR PICTURES LOOKING SO NATURAL AND 'UNPOSED'. HE ALSO DID A GREAT JOB OF PHOTOGRAPHING OUR GUESTS THROUGHOUT OUR 2 DAY EVENT WHICH HAS BEEN GREAT FOR US TO LOOK BACK AT, ESPECIALLY SINCE AS THE BRIDE AND GROOM IT'S SO EASY TO MISS OUT ON WHAT EVERYONE ELSE WAS DOING! MUCH FUN TAKING PICTURES BUT LEE MADE IT HAPPEN. WORDS CANNOT EXPRESS HOW GRATEFUL WE WERE TO HAVE YOU PHOTOGRAPH OUR SPECIAL DAY! THE PROFESSIONALISM, CREATIVITY AND OVERALL LEVEL OF SERVICE YOU DELIVER MADE IT POSSIBLE FOR US TO CAPTURE MOMENTS WE WILL CHERISH FOREVER! THANK YOU AGAIN LEE! WE LOOK FORWARD TO THE NEXT OCCASION YOU CAN BE APART OF! THE QUALITY OF YOUR WORK IS VERY IMPRESSIVE AND WE REALLY ENJOYED WORKING WITH YOU. THANK YOU SO MUCH FOR CAPTURING SUCH ARTISTIC AND UNIQUE PHOTOS OF OUR WEDDING DAY. YOU ARE TRULY AN AMAZING PHOTOGRAPHER! HIM TO ANYONE WHO IS LOOKING FOR A WEDDING PHOTOGRAPHER. LEE IS VERY TALENTED! AMAZING WEDDING PICS! 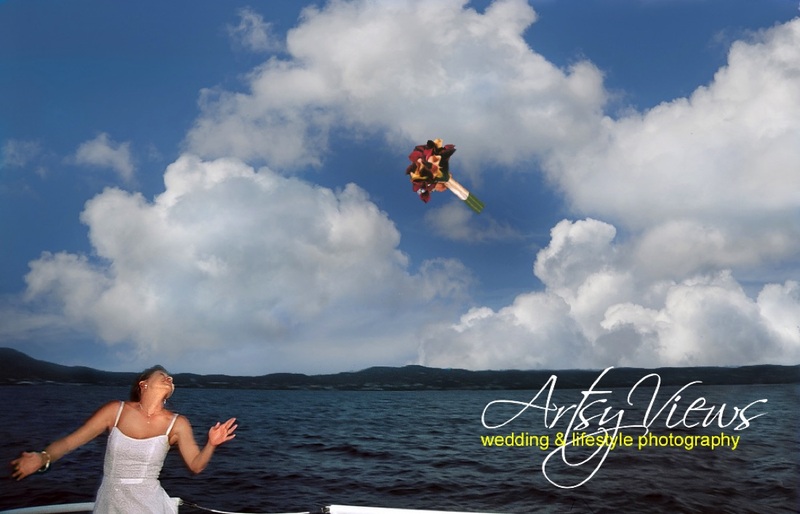 FRIENDS AND FAMILY ARE STILL RAVING ABOUT OUR WEDDING PICTURES. LOVE YOUR WORK!! 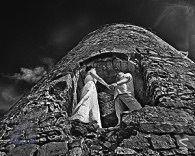 LEE WAS THE PERFECT CHOICE FOR OUR WEDDING PHOTOS ON ST JOHN US VIRGIN ISLANDS - HE HAS A LAID BACK STYLE, WE HARDLY KNEW HE WAS THERE TAKING PHOTOS OF US, WHICH IS WHAT WE WANTED.AT THE SAME TIME, HE WAS GREAT AT SUGGESTING POSES, ETC. WE WERE VERY PLEASED WITH HIS WORK AND HIS PRICE WAS GREAT COMPARED TO OTHER PHOTOGRAPHERS THAT WE LOOKED AT. LEE WAS AMAZING TO WORK WITH! MY HUSBAND AND I HAD SUCH AN AWESOME TIME WITH LEE! PRIOR TO GETTING IN CONTACT WITH LEE I HAD SPOKE AND MET WITH OTHER PHOTOGRAPHERS AND JUST GOT A VIBE FROM THEM I COULDN'T QUITE EXPLAIN UNTIL I MET WITH LEE. WHEN I MET WITH LEE THE FIRST TIME I WAS ABLE TO PLACE IT. LEE LIVES, EATS AND BREATHES PHOTOGRAPHY. UNLIKE THE OTHER PHOTOGRAPHERS I SPOKE WITH BEFORE LEE, PHOTOGRAPHY WAS NOT JUST A PART TIME JOB TO MAKE SOME MONEY OFF OF IT IS TRULY WHAT HE LOVES TO DO. HIS CREATIVITY IS IMPRESSIVE! YOU NEVER SEE THE SAME SHOTS WHEN YOU LOOK THROUGH HIS PAST WORK IT IS ALWAYS SOMETHING NEW AND UNIQUE! SPEAKING WITH LEE FOR THE FIRST TIME OVER THE PHONE WAS LIKE SPEAKING TO AN OLD FRIEND. TAKING PICTURES WAS THE BEST WITH LEE! HE MADE US SO COMFORTABLE. THERE WERE NEVER ANY AWKWARD UNCOMFORTABLE MOMENTS. LEE DEMONSTRATED CREATIVITY AND ARTISTIC TALENT IN HIS WORK. WE ARE A MATURE COUPLE WHO HAD A BEACH CASUAL WEDDING. LEE REALLY BROUGHT OUT THE PERSONAL SIDE OF OUR EXPERIENCE. HE WAS VERY RESPONSIVE TO ALL OF OUR INQUIRES AND WAS EARLY FOR THE SHOOTING. HE STAYED LONGER AND TOOK MORE PICTURES THAN WE HAD CONTRACTED. WE HAD THE OPTION TO BUY ADDITIONAL SHOTS WHICH WE CHOSE TO DO. HE WAS A PLEASURE TO WORK WITH AND WE WOULD HIGHLY RECOMMEND HIM. 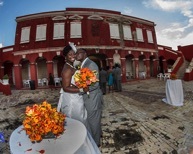 We are from the East Coast of the US and had a destination wedding in St. Croix. 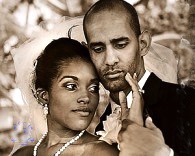 We had looked at a few websites for photographers in St. Croix and stumbled across Lee web page. Our wedding coordinator also recommended him so we decided to go with him. What a great decision that was! He was very flexible and very creative. He went above and beyond to make sure we got all the wedding pictures we wanted. 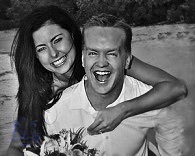 We could not have been happier working with Lee and were ecstatic with how the pictures turned out. 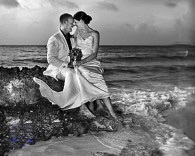 We highly recommend him to anyone needing a photographer in the Virgin Islands. Lee did an Amazing Job! He exceeded my expectations. My pictures were fabulous. He was creative and extraordinary. He went out and beyond to get my pics to me and everyone had a great time working with him. Best photographer I have ever worked with. Lee has a passion for what he does and is very gifted. Mr L Lashley came highly recommended by a friend. When I contacted him, he was very pleasant and genuinely interested on what my need were. He's a true professional. He arrived before my allotted time to review my contract and once more we went over what my needs were. Mr Lashley was always easy to reach. I received my in a timely manner and they were beautiful! Everyone loves them! The colors are brilliant and he captured the best moments. 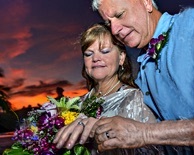 Not only did he captured the best moments, but he also focused on the background setting – gorgeous sunset! He's truly gifted. During my reception, with all the dancing and all that was going on, I almost forgot that I had a photography but Mr Lashley was front and center and manager to get some really beautiful shots of my husband and I dancing and interacting with our friends and family. He has the patience of a saint! My family is a little on the wild side but he manage to get all of us (a lot of us) in a beautiful family picture – that has never happened before! I cannot stop looking at my photos; they make me smile every time. I'm so grateful that Mr Lashley was my wedding photographer; I really don't think anyone would've done it better !! !